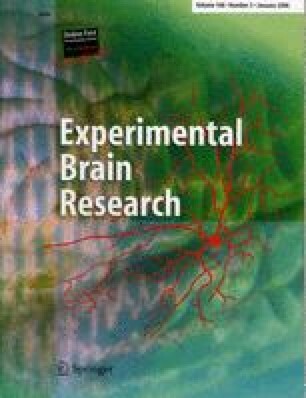 Attentional effects in the visual pathways were investigated by contrasting the distribution of regional cerebral blood flow (rCBF) measured by H215O positron emission tomography (PET) during performance of a shape-matching task with the distribution of rCBF during a less demanding color-matching task. The two tasks were performed using the same stimuli: pairs of colored random shapes shown at a fixed rate (2 s per pair). In the shape-matching task, the subjects determined whether the two stimuli were the same in shape regardless of differences in size or color. In the color-matching task, the subjects determined whether the two stimuli were the same in color regardless of differences in size or shape. Mean reaction time for shape-matching exceeded mean reaction time for color-matching by nearly 200 ms. The corresponding shape-color comparison showed extensive bilateral increases in rCBF in visual areas in the occipital and parietal lobes, including the primary visual cortex. Subcortical activations were found in cerebellum (particularly the vermis) and in the thalamus with the focus in a region comprising the lateral geniculate nucleus, the pulvinar, and adjacent parts of the reticular nucleus. Frontal activations were found in a region that seems implicated in visual short-term memory (posterior parts of the superior sulcus and the middle gyrus). The reverse, color-shape comparison showed bilateral increases in rCBF in the anterior cingulate gyri, superior frontal gyri, and superior and middle temporal gyri. The attentional effects found by the shape-color comparison in the thalamus and the primary visual cortex may have been generated by feedback signals preserving visual representations of selected stimuli in short-term memory.